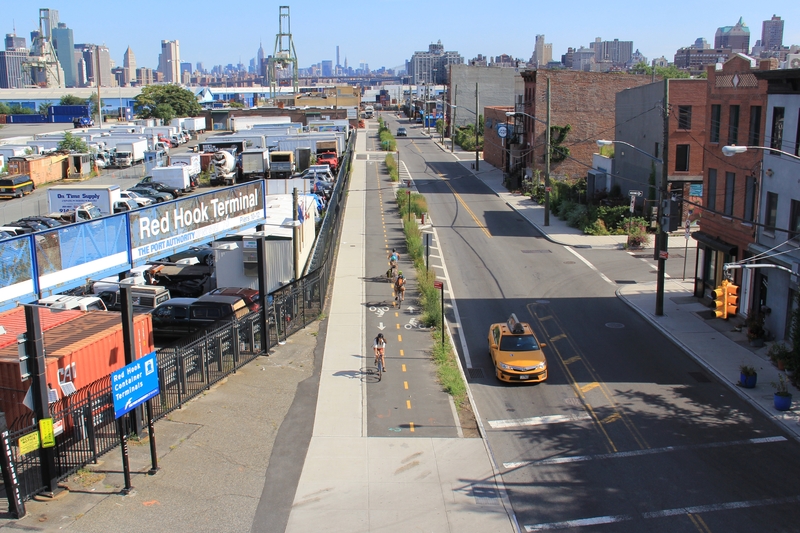 The Adopt A Greenway (AAG) program offers civic-minded companies and individuals an opportunity to enhance New York City's greenways by adopting greenway segments throughout Brooklyn, Queens and the Bronx. A clear maintenance strategy is a potential issue for various greenway designs that straddle jurisdictions. For example, paths are often located between roadways that are swept by Department of Sanitation and sidewalks which are maintained by private property owners. AAG is a framework that addresses current issues along the greenway, provides a maintenance structure for future design, and is model for other greenways and plaza spaces throughout the city. To Adopt A Greenway, a sponsor has the option to use its own forces to perform maintenance services or to hire a Maintenance Provider to perform all or a portion of the maintenance services on its behalf. The organization intending to perform the maintenance tasks will be required to submit a Maintenance Provider Application. ​Those who wish to adopt a greenway segment must commit to a minimum of a two-year adoption agreement. Sponsors and Maintenance Providers are recognized with signage that DOT installs along AAG segments. Segments are available for adoption on a first-come first-served basis. .